I know you're here because you dream of great skin. Whether you suffer from acne and skin conditions, or just want to age gracefully— you know your skin isn’t looking and feeling its best. The market is brimming with products that over-promise results and cost valuable time and money. Maybe you have found that these singular solutions don’t solve your dilemmas. But it doesn’t have to be this way. You can stop suffering from acne and other skin conditions. You can age with grace and beauty. You don’t have to throw more money at more empty promises. It's time to finally feel good about your skin. There’s an expert that understands the treatments available and wants to help you look and feel better. I’m Cathy Grisham, your friend and expert in the skincare industry. 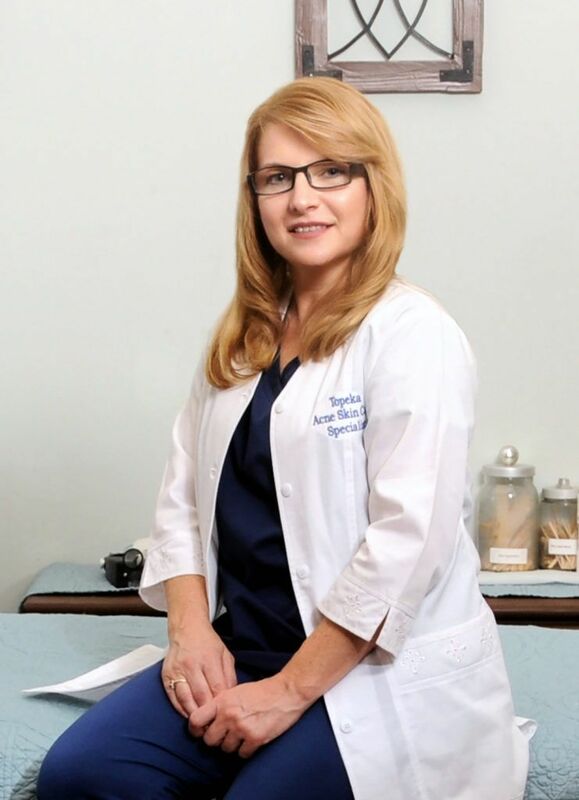 As a licensed esthetician and massage therapist, I've spent decades working with clients to achieve beautiful skin and lasting change. I’ve struggled in my skin, too. I’ve lacked confidence and missed connections because I was embarrassed about my acne. I’m passionate about helping you feel better about your skin and empowering you to share your radiant self with the world. I invite you into my spa for rest, relaxation and results. Let’s work together to give you new confidence through healthy skin. Massages are for relaxation, therapeutic touch, migraine headache release, better circulation, tired muscles and old injuries. Massages aren’t a frivolous indulgence, but a form of self-care to keep you moving well as you serve others and our community. Schedule time for you to rejuvenate. Join my newsletter and receive a FREE eyebrow wax or 10% off your first service! Copyright © 2019 · Topeka Acne Skincare. Design by Great Oak Circle.